The nascent technology sector is such that a number of company founders are still active in steering and managing their multi-billion-dollar enterprises. 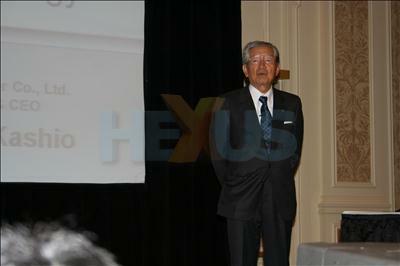 One such founder is Kazuo Kashio, who headlined Casio's press conference at CES 2010. 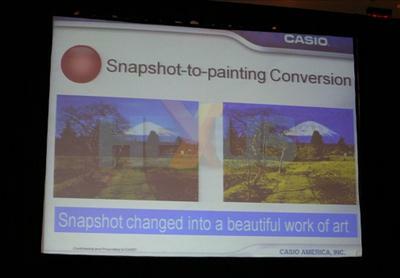 Casio claims that it invented the digital camera in 1995. Now, some 15 years on, president and CEO Kashio highlighted new releases for 2010. Turn your photos into Digital Art. 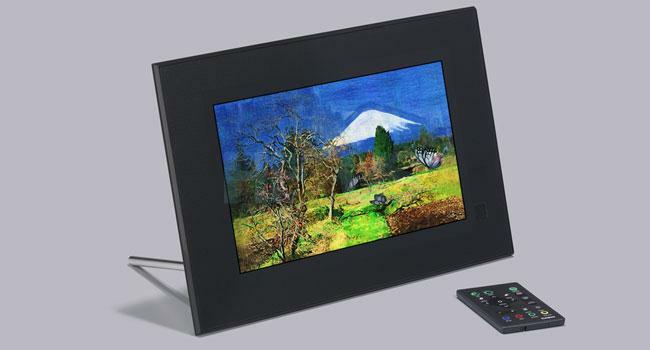 The first is the Digital Art Frame, which translates regular photographs into 'digitalised painting' through one of eight presets, including watercolour, pastel, oil, fauvist, and pointillism. You transfer regular photographs to the Frame and then, via the internal picture-alteration algorithms, translate the picture, as shown below. The Frame has an SD card slot and wireless LAN, as well as Adobe Flash Lite for loading up content. More gimmicky than pragmatic? Probably so, but then the photo-frame market is littered with generic models. No word on price, though. Casio has a burgeoning high-speed picture and movie camera line-up, characterised by shooting hundreds of frames per second in burst mode. 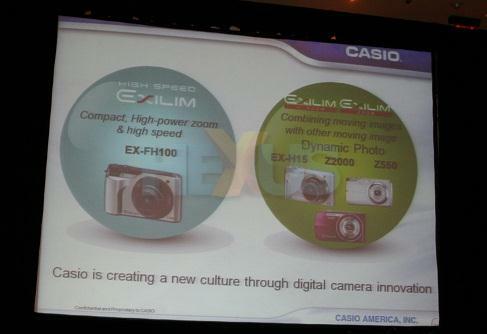 In 2010, Casio is launching the latest iteration of the range, the EX-FH100, which is a compact camera with 10x optical zoom. Casio is also releasing a range of compact cameras that combine moving images with other moving images. They sound extra-cool, but the image compilation, known a Dynamic Photo, is basic at best. The EX-H15, EX-Z2000, EX-Z550 are aimed at users who frequent social-networking and video-sharing sites, clearly.